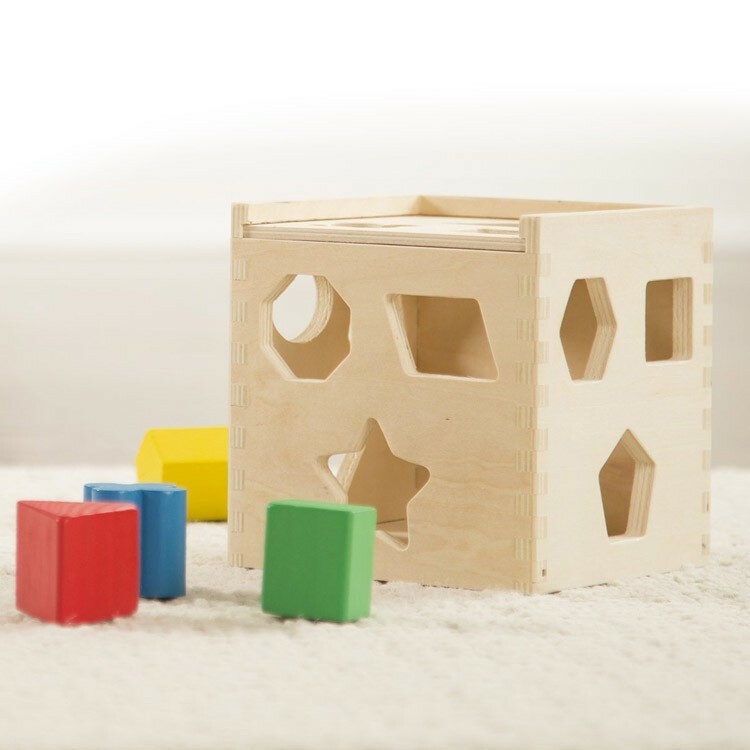 Match the wooden blocks to the correct cutouts on the cube, and slide them inside the shape sorting cube by Melissa & Doug! Are you ready to sort out some fun? 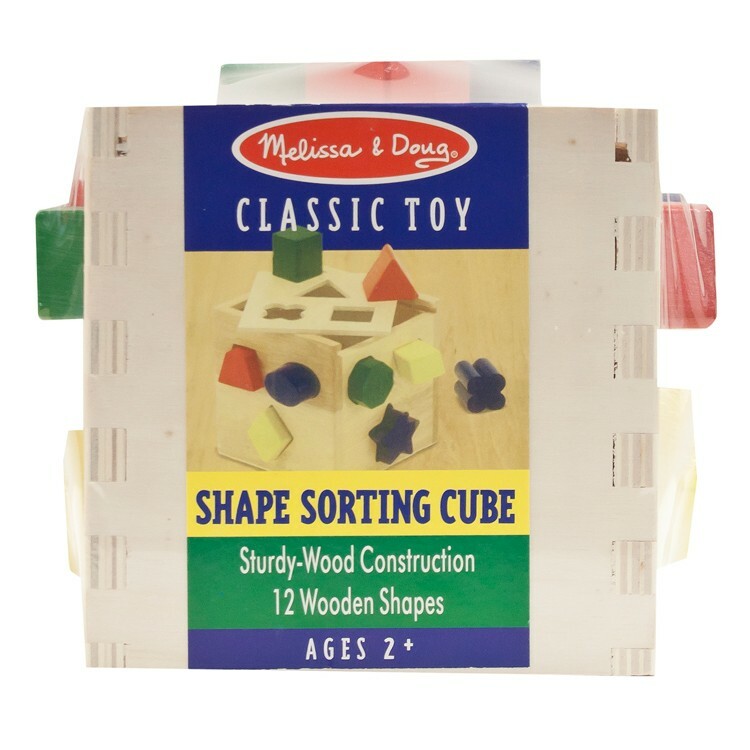 Melissa & Doug's Shape Sorting Cube Wooden Toy is a well made classic sorting toy. 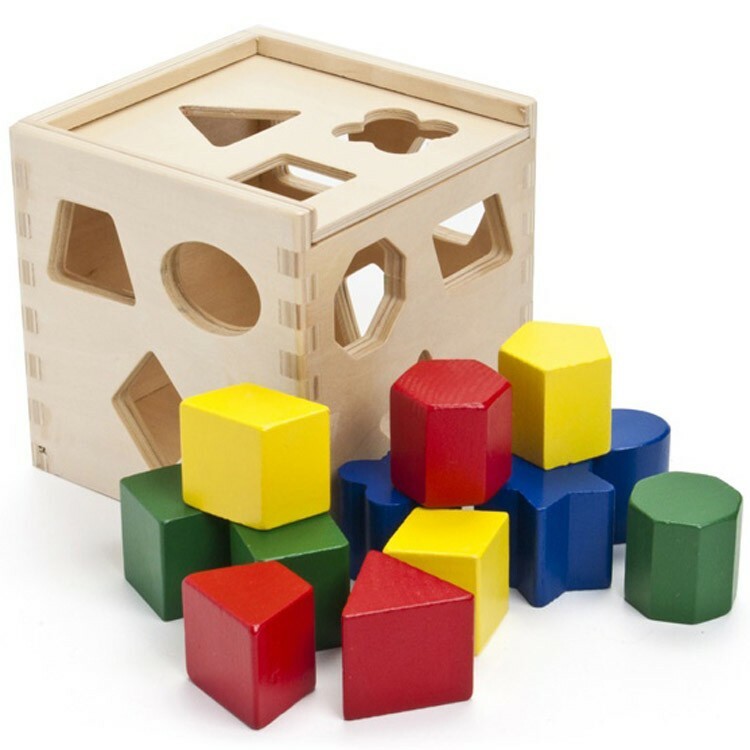 This high quality wooden cube and vibrant shaped blocks set is perfect for fine tuning motor skills. 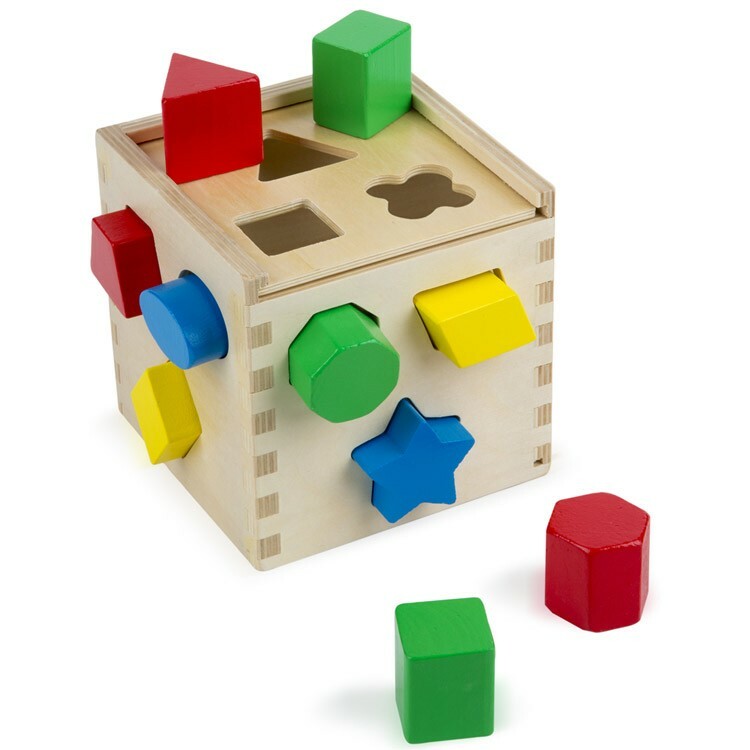 Match the wooden blocks to the correct cutouts on the cube, and slide them inside! Perfect for all children, this award winning shape sorter is among Educational Toys Planet's bestselling toys for toddlers. 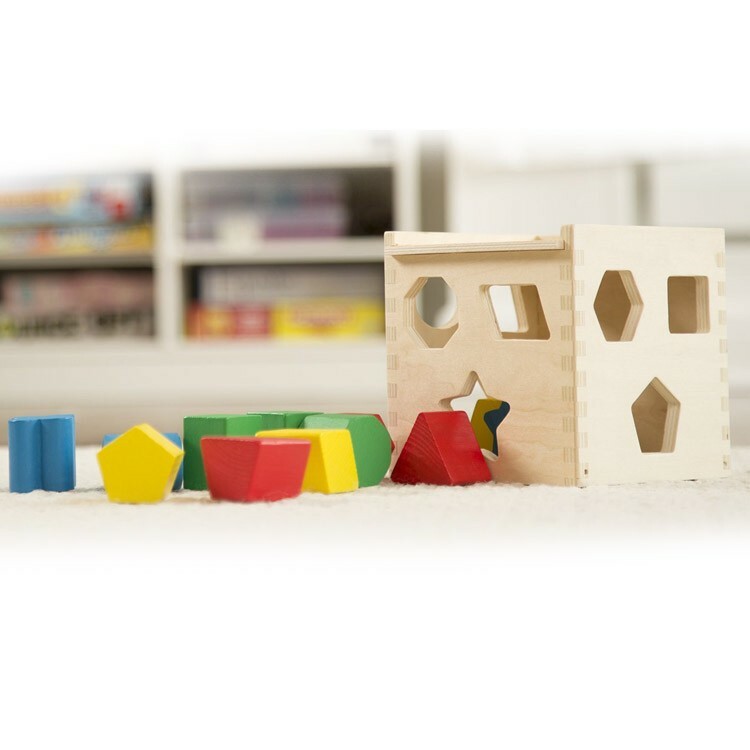 Introduce your child to geometry and puzzling fun with this sturdy shape sorting toy! 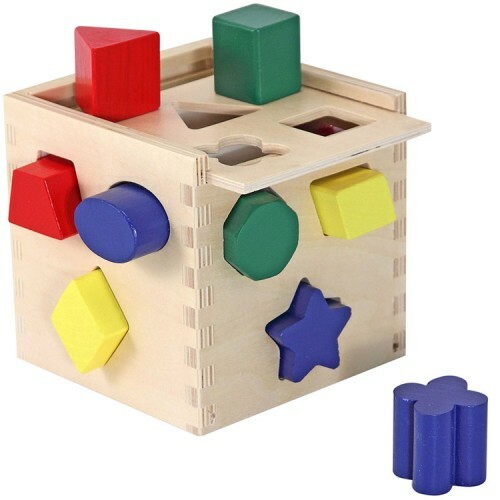 Shape Sorting Cube Wooden Toy meets and exceeds all U.S. toy safety standards. 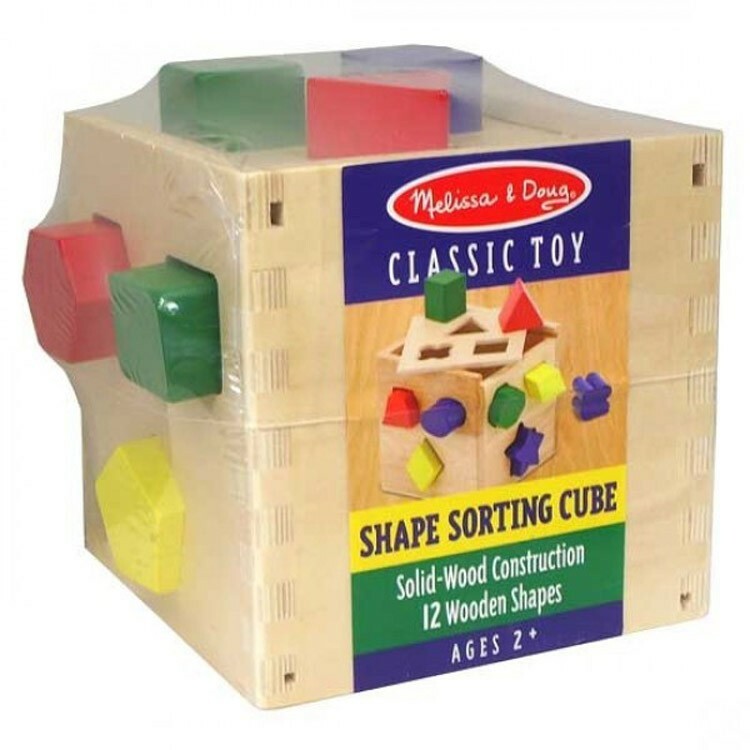 Dimensions of package 5.5" x 5.5" x 5.5"
Write your own review of Shape Sorting Cube Wooden Toy. Rating: 1 Great toy...my grandson loves it! by Granny Well made...love it. Rating: 5 by Adrian, IA My daughter's absolute favorite now. Thank you! Rating: 5 by Maura, MA I like the fact that this toy does not make weird noises, is made of wood, and requires some concentration. Rating: 4 by Chris, CA It is bright and colorful & appears to be well made. I bought it for my granddaughters birthday in November so we will see how it does. Rating: 5 by carol, PR Great Toy! Rating: 4 by Karen A Aaron, NY It's straight forward and made well. Rating: 5 by Teresa, WV i like all the shapes. It is a beautiful educational piece. Rating: 5 by Rhonda, CA Just what I wanted for our grand daughter's first Birthday.